Buy 1 Asian Handicap tip directly from www.goalspredict.com for $500. Payment can be make immediately by PayPal. Once payment completed tip of the day will send to purchaser email directly and we will make sure you have at least 8 hours to place bet. The odds will be from 1.85 to 2.30. For draw, cancelled or postponed tip we will automatically send you the next day tip for free as replacement. For lose tip we will send you two same category tip when available as replacement. All records perfomance is monitored by a third party company www.bettingleads.com to ensure everything was visible to members. Buy 1 fixed odd / 1x2 tip directly from www.goalspredict.com for $800. Payment can be make immediately by PayPal. Once payment completed tip of the day will send to purchaser email directly and we will make sure you have at least 8 hours to place bet. The odds will be from 1.90 to 6.0. For draw, cancelled or postponed tip we will automatically send you the next day tip for free as replacement. For lose tip we will send you two same category tip when available as replacement. All records performance is monitored by a third party company www.bettingleads.com to ensure everything was visible to members. Fixed odd tip consistently archiving 80% hits rate. If you wish to earn a payout of more than 6 times to 40 times this is our correct score tip. Buy 1 exact score / correct score tip directly from www.goalspredict.com for $4000. With guaranteed profits policy, if the tip unfortunately lose, we will send you 1 asian handicap tip the next day and 1 correct score tips when available. The odds of the tip will be from 8 to 60 and average of 20.0 odds. With betting $1000 you will have return of $20, 000. 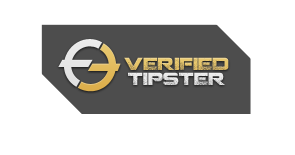 As like other two type of tips, all records performance is monitored by a reliable 3rd party to ensure all tips is 100% genuine.